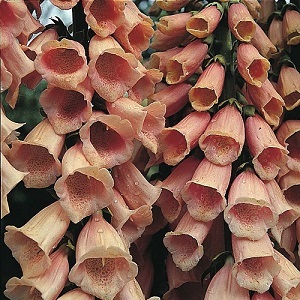 A heritage variety of Foxglove with spikes of flowers in June and July, with each spike flowering in shades of cream to orange to pink. Plants grow to a height of 1.4m, and are good for back of borders, wildflower and wooded areas. They attract butterflies and bees into the garden. They make excellent cut flowers.